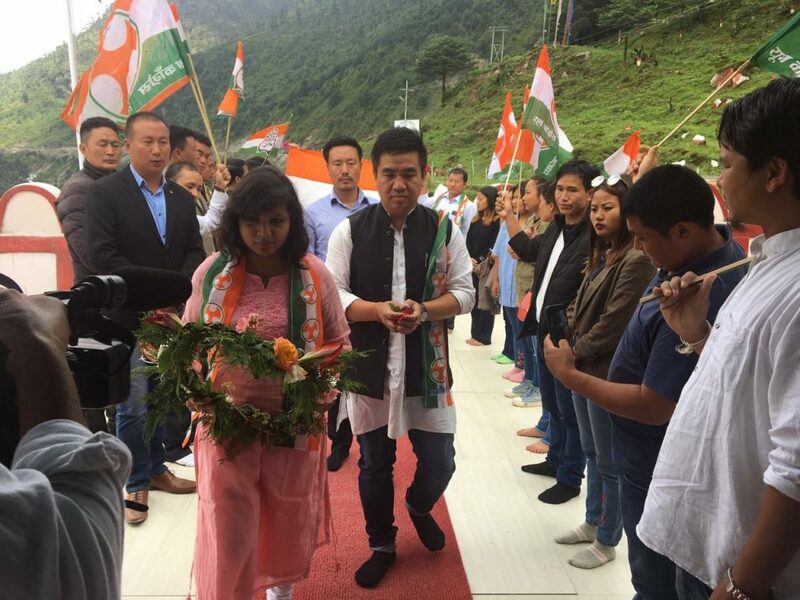 The six-day tour of Arunachal Pradesh Youth Congress (APYC) to Tawang and Bomdila culminated at Bomdila on Wednesday in the form of a mass gathering of party workers. APYC members who were led by its president, Geli Ete and Indian Youth Congress secretary (in-charge of Arunachal Pradesh), Monalisa Banerjee during their tour the headquarters of West Kameng and Tawang districts interacted with the party workers and chalked out strategies to improve the stronghold of the Congress party in the districts. On Monday, the Youth Congress interacted with the Tawang District Congress Committee (DCC), during which the team listened to the grievances of its members and party workers and assured solutions. “The people of the state and county have felt the burns of fascist and intolerant policies of the BJP government. The popular demand of the public in Tawang was to conduct the panchayat elections as it is the agency which empowers the rural mass and sadly the same did not happen,” said Ete. The Youth Congress president also asserted that the Congress has now shutdown its doors to the entire runaway MLAs of Tawang district once and for all. “Congress gave everything to these MLAs, however, in spite of being faithful and constructive, they have played dirty politics and has been blaming the party since they left,” Ete said without naming anyone in particular. The meeting later paid its tribute and condolence to the Tawang firing incident victims. At least two persons had died and many others were injured when the police allegedly opened fire on people protesting against the arrest of a Buddhist monk at Tawang in May 2016. On Tuesday, the APYC team celebrated the birth anniversary of its national president Rahul Gandhi at Manjushree Vidyapith School and Orphanage and distributed sweets, books and stationeries to the children. To mark the day, hundreds of party workers later paid homage to the martyrs of Indian Army at the Tawang and Jaswant Garh Jaswant Garh war memorials.